Bose is well known for its technologically advanced sound systems that cost a bombshell but do not have any competitors where the offering is concerned. 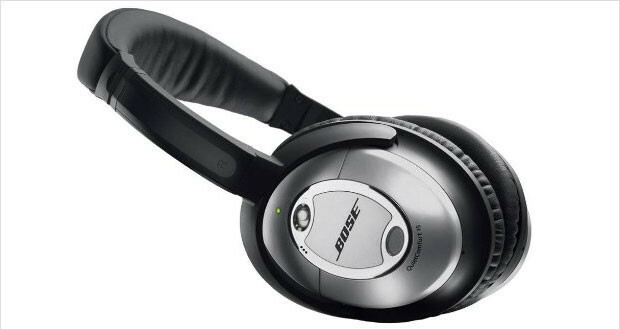 They make aviation headsets for pilots of planes and helicopters, so you know for a fact that where the best noise cancelling headphones are concerned, Bose is the premier headphone maker. 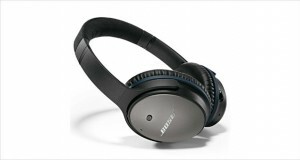 Its fourth generation noise cancellation headphones, the Bose QuietComfort 15 Headphones are vying for prize of being one of the best over ear headphones as well. The QC 15 takes the overall design of its predecessor, the QuietComfort 2 and retains the circumaural design with better noise cancellation capabilities than its immediate precursor, the QuietComfort 3. Additionally, these are powered by a AAA battery, unlike the proprietary lithium-ion battery for the QC3. 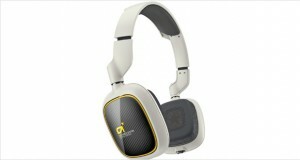 The sound quality, while being very good is not as spectacular as the QuietComfort 3, however. This puts a dent in an otherwise excellent performer in the noise cancellation department. The headphones are bass heavy, so they are not for everyone – especially for those who listen to a lot of rap or pop. 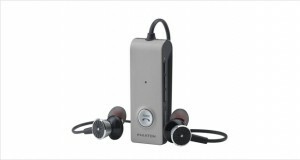 Additionally, the build quality is not very good, considering these are premium headphones. The look and feel of the headphones is as important as the acoustic delivery – you do not want these to disintegrate in a year’s time! The overall design is very comfortable with its circumaural design that envelopes the ear. The build quality is definitely not what you would expect from $300 headphones though, and with Audio Technica and Sennheiser for competition, Bose should have upped the ante with the QuiteComfort 15 Headphones. Plastic components seem cheap, durability is questionable. Extra comfortable ear cups ensure a very satisfactory acoustic seal. Bright highs that soar just enough. Satisfying mids that envelop the soundstage. The lows are a little too deep and muddy and lack definition. Extremely good noise cancellation – much better than the QC3 in terms of sheer reduction of every ambient distraction. These are a great pair of cans for those who want to sleep on an ATR flight. The Bose QuietComfort 15 is a quality audio peripheral if you are looking for a reasonably good amount of money on ensuring a quiet flight to wherever you are going. If you are on a budget and you want the best noise cancelling headphones, then these should be one of the few options you should consider. The device itself is highly portable and has quite a bit of fulfilling sound. However, the build quality is something you should look out for.